Life can be hard, Jesus told us it would be, but this chapter of my life is one of the hardest I have ever had to walk through. For those of you who do not know me, my name is Jeff Davis and I am currently staying at the Ronald McDonald House here in Pensacola, FL. On January 19th 2012 my wife was brought to Sacred Heart by ambulance with severe preeclampsia and they deemed it medically necessary to do an emergency C-section at 12:25 in the morning. At the time, there was a flood of emotions I was feeling: I was now going to be a daddy for real, I was very concerned for my wife who is a cancer survivor as well as a type 1 diabetic, and I was scared that my 34 week old baby would have complications with her premature delivery. Sydney Paige Davis made her grand arrival at 12:25 in the morning and the delivery went very well and I even got to cut the cord: I used scissors and not my teeth for those of you who were wondering! Soon after, it became evident that Sydney was in distress and they were unable to register a blood sugar which meant she was below 20. Then she began to have breathing complications and they were unsure of the cause. 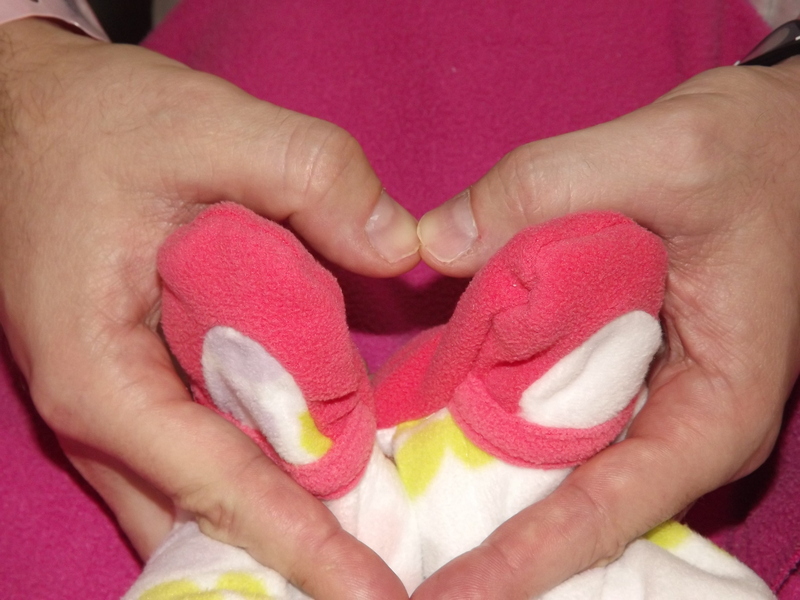 A new chapter of our life was about to begin and what we thought was going to be parenthood had a preface called NICU. I have nothing but good things to say about the entire staff at Sacred Heart; they are all wonderful, but no parent should ever have to see their children subjected to the painful tests and procedures I consented to in order to find out why she was in distress. My wife and I were an emotional hot mess and when they asked to do a spinal tap to rule out meningitis it only made matters worse. While all this was going on, we were also being discharged from the hospital with no idea where we were going to go. Leaving was very hard, especially when we were watching other parents leaving with their newborns. Not living in the local area presented a serious problem for us. Niceville is over an hour away and financially there was no way we could afford a hotel room and the last thing I wanted to do was leave my little princess in the NICU by herself. Then, I truly believe God heard our prayers because our nurse, knowing we were not local, asked if we had contacted the Ronald McDonald House. 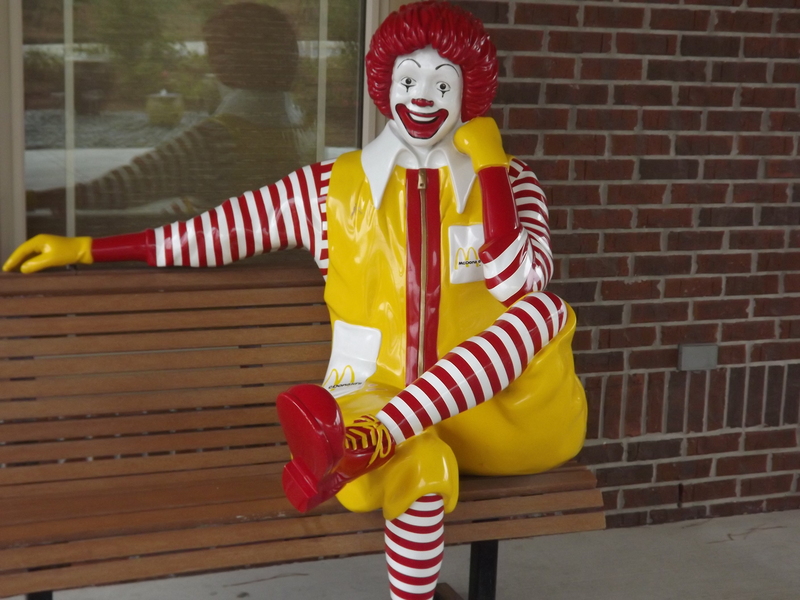 I had heard of the Ronald McDonald House previously, but beyond that, I did not know the extent of their tremendous outreach. I called and spoke with Jordan, who immediately put my mind at ease and arranged a check-in as soon as we were ready. I was amazed by her professionalism and the friendliness of the entire staff, as well as the beauty of the entire facility; it was like something out of home makeover! During our last house meeting, the staff asked if anyone would be willing to speak about their experience and I knew immediately that I had to share how much the Ronald McDonald House has meant to me and my family. Without this wonderful provision, I honestly have no idea what we would have done. As the main bread winner and the spiritual head of my house, not being able to provide for my wife and newborn was a very powerless and horrible feeling coupled with tremendous guilt. I so wished I could do more and not being able to was very hard for me to deal with. The facility is truly amazing and is so much more than a roof over our head; it feels like a home away from home. We have made some wonderful friends who are going through similar challenges and it is very nice to know we are not alone. The way the house is set up makes it so easy to interact with other families and share in each other’s stories. It is such an encouragement to know that people care so much about us and are willing to volunteer and do whatever they can to help. Being so close to the hospital allows mom to pump and go back to sleep or rest. Then I am able to go over and do all the feedings and care for our daughter and just spend time with her. Several nights, when it was really life or death, I just had to put my eyes on my daughter and I was able to do that due to the proximity and it was a tremendous relief to see she was okay. A phone call would not have sufficed; I had to see her for myself. The vision of the Ronald McDonald House Charities is profound. You have directly impacted my life and the life of my family. On average, NICU children with direct contact with their families go home 7-10 days sooner than children without that contact. Because of the Ronald McDonald House, my daughter has had that chance and will hopefully be able to go home sometime this week. I will never forget what you have done for me and my family and I will take this awesome experience home to my community so that they know the incredible impact you are making. Passing on the love and care I have received here will be my personal mission. For love to flow in a community it has to originate from somewhere and that place is here! I hope you know how much what you do here means to me and my family. The role you played in making this dream a reality has made the traumatic experience with our baby in the NICU a much less painful experience. Without the Ronald McDonald House and your faithful giving, volunteers, and sacrifices, this sad story would not have had a happy ending. I thank you from the bottom of my family’s heart and I pray that God blesses you and your organization and that you will be able to continue blessing families as much as you have blessed mine.